Fox Cities Shoppers Showed Their Support of Small Businesses on Small Business Saturday by Participating in New Passport Promotion! Posted on Dec 15, 2014 by Appleton Downtown Inc. 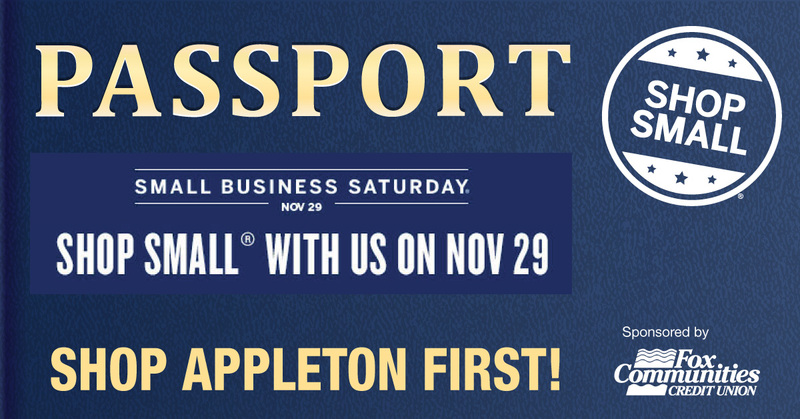 The free passport promotion, offered in partnership with the City of Appleton, East Wisconsin Savings Bank, Fox Communities Credit Union and North Shore Bank, featured over 80 participating small businesses in both Downtown Appleton and the northside of Appleton. Shoppers were encouraged to visit five or more participating businesses and have their passport stamped for each purchase. For every five stamps received, shoppers were eligible to win from over a $1000 prize pool. Fifty lucky winners were chosen from the roughly three hundred passports that were returned. “We had a GREAT week-end!! Our Saturday sales were higher than any other day in any store EVER. Almost double the year before which was already a huge day” reported Sarah Rupiper, owner of hey, daisy! “The businesses were grateful for the strong show of local support and look forward to continuing to serve the community in the coming year,” noted Anne Wiegman, ADI marketing director. ADI is a non-profit advocacy source for the businesses and merchants of Downtown Appleton, presenting the weekly Downtown Appleton Farm Market and a host of other events. For more information about ADI and/or a complete listing of upcoming Downtown happenings, visit www.appletondowntown.org, on Facebook at the Appleton Downtown or Downtown Appleton Food & Fun Fan Pages, or on Twitter @downtowncool and @dwtnappleton. Appleton Northside Business Association has been supporting local businesses for over 60 years by promoting, advancing, educating, stimulating and fostering business interests and social activities for the benefit of the general welfare of the Northside of Appleton business community and surrounding area.